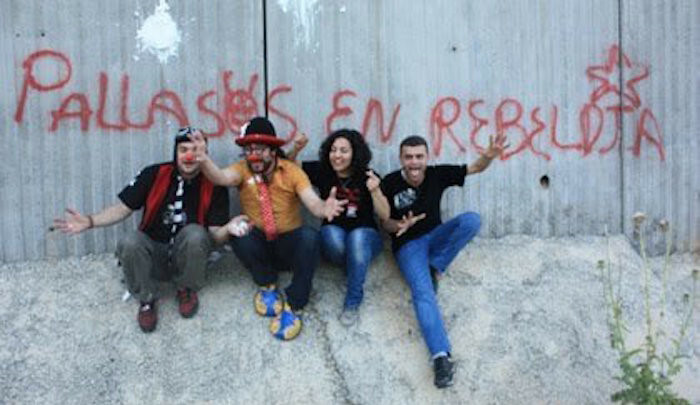 Naked Spanish protesters who stripped off at the wall separating Israel from the West Bank as an act of solidarity with Palestinians have been forced to apologise and clarify that they did not intend to insult Islam. 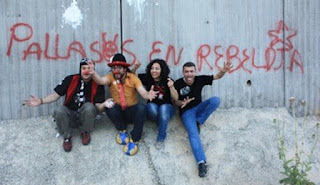 The eight activists, who wore nothing but clown’s noses during the stunt, suffered a backlash from those they were supporting, after their minimalist campaign at the Israeli checkpoint of Qalandia, just outside the West Bank city of Ramallah. However, after the group were bombarded with complaints online, with Muslims branding the campaign “tacky” and “offensive”. The group later issued an apology on Facebook, to “any Palestinians who may feel offended by our action against the wall of shame that pierces the West Bank and every human heart… This is not an attack on Islam, it is our way of protesting”. Israel contends that the barrier is needed for security reasons, and says it has dramatically reduced suicide bombings, but Palestinians say it isolates them by severely restricting their movement.